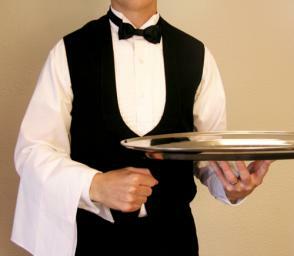 People who are considering a degree in the service industry commonly inquire about hotel management salary. Students who pursue hotel management degrees are prepared for a variety of positions in the hotel industry, such as sales and marketing, management, and event planning. The University of Houston and Scottsdale Community College are examples of institutions that offer top rated hotel management degree programs. The University of Houston is the biggest hotel management school in Texas and it offers a bachelor’s degree in hotel and restaurant management. The program prepares students for leadership positions in the hospitality industry, and students complete traditional business courses to establish a solid foundation needed for various hospitality specialties. Students are able to choose an area of emphasis, including lodging management, wine and spirits management, country club management, catering management, gaming and casino management, sales and marketing management, spa management, restaurant management, event management, tourism management, and international hospitality management. Scottsdale Community College offers an associate degree in hospitality and tourism/hotel management. The program focuses on oral and written communication, business applications, computer science, mathematical reasoning and social sciences to provide students with a well-rounded education. Individuals with a hotel management degree earn varying salaries depending on many different factors. In general, the starting salary for graduates of hotel management degrees is between $28,000 and $40,000 per year. Those with a bachelor’s degree in hotel management with less than one year experience earn a median salary of $38,142; one to four years experience $41,718; five to nine years experience $50,594; 10-19 years experience $68,996; and 20 years or more $74,152. In contrast, individuals with an associate degree in hotel management with one to four years experience earn a median salary of $35,270; five to nine years experience $42,000; 10 to 19 years experience $49,186; and 20 years or more $50,028. The salary is widely influenced by location, as various factors like demand and cost of living come into play. For example, those with a hotel management degree in Houston, Texas earn a median salary of nearly $58,000, while individuals in Denver, Colorado earn a median pay of $45,000. Gender also plays a role, males with a hotel management degree earn an median salary of $59,162, while females earn around $49,883. Salaries also differ by benefits, those with a 401(k) earn a median salary of $56,982, life insurance $63,772, and those with education reimbursement earn $66,704. Hotel management salaries differ significantly by specific position. General managers of hotels and resorts are both the most in demand and highest paying positions due to the wide range of new hotel developments and the need for highly trained leaders. These individuals typically earn from $80,000 to $250,000 per year. Casino supervisors earn between $41,000 and $115,000; travel agents $19,000 and $47,000; food service managers $30,000 and $79,000; and event planners $28,000 and $75,000. Hotel management degree graduates can maximize their earnings by gaining significant experience in the hotel industry and moving up to higher-level positions. Individuals can also pursue higher educational opportunities. A hotel management salary can be very lucrative for those who decide to pursue the degree.